If King's Quest sounds familiar to you, it's probably because you played it on your dad's computer at some point in the 80's. Or there's small chance that you're dad, and you've kept up with PC games as you march into your golden years. Either way, the last time a new Kings Quest game came out, the point-and-click adventure game was in its prime. In 2015, that isn't really the case, but there certainly seems to be enough people out there with fond memories of the series to warrant a reboot. I'll be honest, when the first King's Quest game came out, I was -5 years old, so I can't say that I'm one of those people with fond memories. I know we had it, I know I played, I know that I was very young and that all DOS games pretty much look the same to me now. So in my playing the first episode of King's Quest, I'm certain that I missed a handful of references to the old games and other quirks that they threw in for the longtime fans. So, is King's Quest a good game? Definitely. Let's go over the basics. The old games were a straightforward point-and-click style of gameplay, which isn't something you can easily get away with these days. So they've incorporated a few quick-time style events to go along with your puzzle-solving and dialogue. I found that I could play most of the game using only one hand at a time. The overall art direction of King's Quest is outstanding. They've combined a modern, somewhat glossy and comic-booky aesthetic with splashes of the old, charmingly crappy graphics the previous games. They found a way to make them fit and even complement one another. 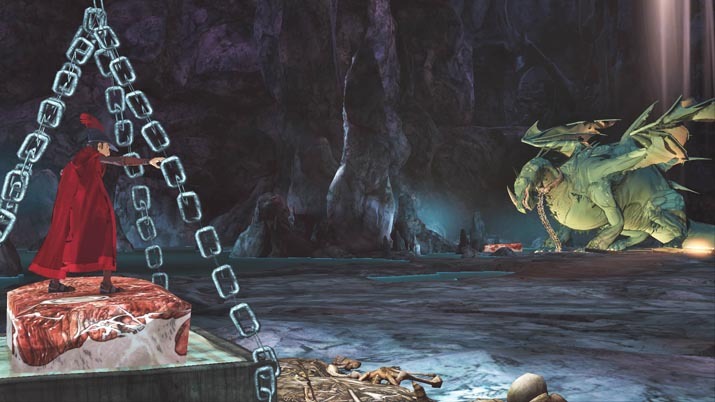 The graphics are one of the game's highlights, and it had to be, considering how much time this game has you sitting at a nearly static image, analyzing the details of the setting. One negative thing I have to say about King's Quest is that it has more than a few long cut scene sequences where I was left thinking “okay, when do I get to play again?” Thankfully, the voice acting in King's Quest is top notch, so those long cut scenes are usually a nice opportunity to sit back in your chair and sip your coffee, taking in the clever writing and Christopher Lloyd's wavering speech patterns. King's Quest is being released in the episodic format that Telltale Games has used in franchises like The Walking Dead and The Wolf Among Us. It makes a lot of sense for Sierra Entertainment to use this same method for King's Quest. 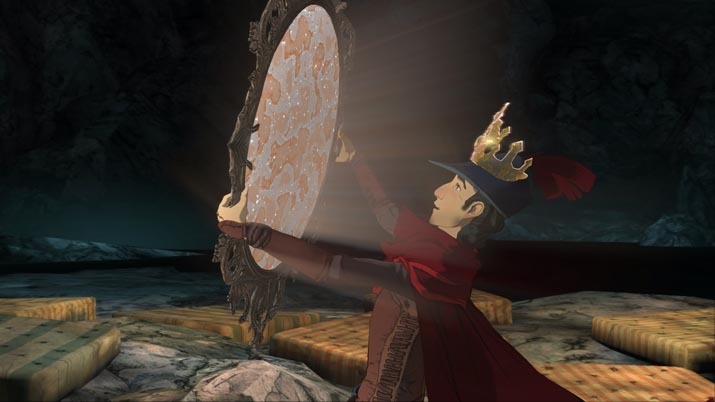 Something so story-centric such as King's Quest should be played at slow, controlled pace. So, to this point, there has only been one episode released. 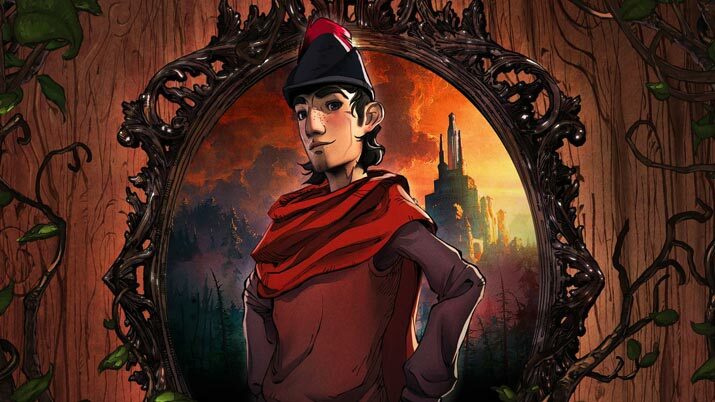 King's Quest has some excellent elements to its story and overall atmosphere of the game. It's loose and fun without being too silly to take seriously. It feels a little like playing “The Princess Bride,” and I'm not just saying that because Wallace “Inconceivable!” Shawn makes an appearance in the voice cast. -Activate ever item on the screen that you can. -Watch the cut scene showing you why that wasn't the solution. -Keep on pressing spacebar on stuff until you find the right pattern in which they need to be activated.At times, there was a bit too much simplicity. But for people that like this kind of story-driven gameplay where you're being taken through some very specific events with very linear solutions, this is just for you. 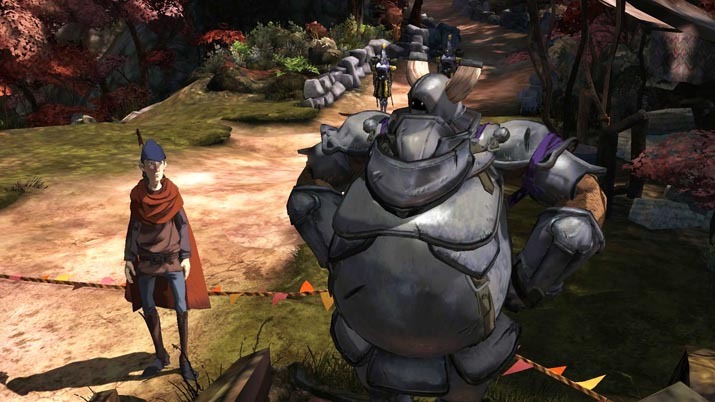 King's Quest doesn't have the instantaneous recognition that The Walking Dead does, but it's got a style of its own that makes the experience worth looking into. At times, there was a bit too much simplicity. But for people that like this kind of story-driven gameplay where you're being taken through some very specific events with very linear solutions, this is just for you. King's Quest doesn't have the instantaneous recognition that The Walking Dead does, but it's got a style of its own that makes the experience worth looking into. Adam Wheeler loves his computer, his cat, and his work-from-home lifestyle. When he feels the motivation to put on pants, he tells jokes on stage. With no real distractions in his life (friends, relationships, a reason to go outdoors, etc. ), he is able to provide in-depth analysis of games and the culture that surrounds them. Adam almost never has anything better to do.